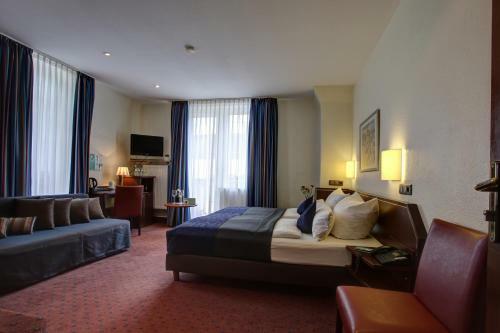 This 4-star hotel in the centre of Düsseldorf offers spacious and elegant rooms and a buffet breakfast with Japanese specialities. Düsseldorf Main Station is a 7-minute walk away. All rooms at the Günnewig Hotel Uebachs by Centro feature satellite TV and Wi-Fi. International and Japanese food are available at the breakfast buffet. The Günnewig Hotel also provides a Japanese and Arabic TV channel. 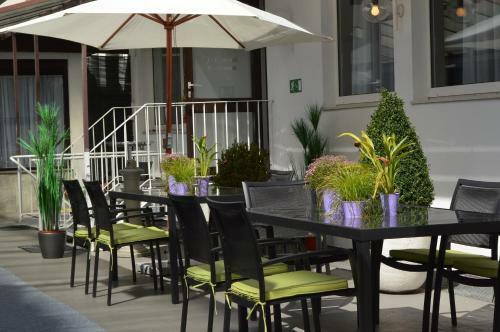 The Günnewig Hotel Uebachs by Centro is a short walk from the Königsallee shopping mile and the Old Town with its shops and restaurants. The Oststraße Underground Station is a 5-minute walk from the Günnewig Hotel Uebachs by Centro. The Messe exhibition centre and Düsseldorf Airport are 15 minutes away by public transport. 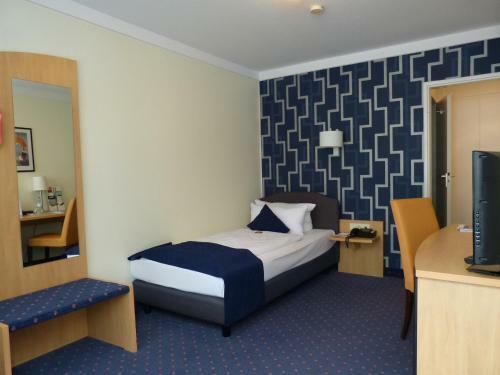 Private parking spaces are available in the underground parking garage of the Günnewig Hotel Uebachs by Centro, and directly outside the hotel.